Towards the end of the handful of days I spent at the Do Lectures Australia, I was feeling a little anxious. Attending Do Lectures was for me an important part of my transition to working more effectively in creating change. Do Lectures had more than met my goal. I had seen great talks that will be shared with others online. I learned a lot that I will share in coming weeks. I had met an extraordinary community of change makers and collaborators. I had found new inspiration to share and many little things to do. I had new perspectives and new energy to make change happen. But I didn’t have a defining action. My one Big Do wasn’t clear in my own head. I know the purpose of that Big Do, but I didn’t have a clear plan. I cleared my head of what ifs. I reflected on the weekend. A clear mind always manages to supply the needed inspiration. 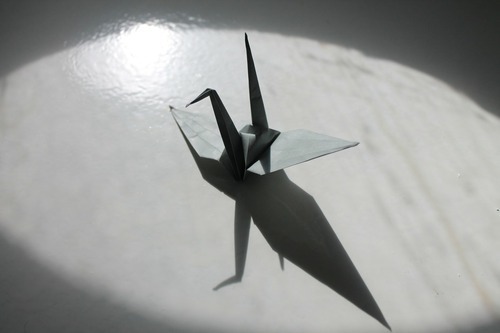 An image came to me of the 1000 origami paper cranes that one of Carly Heaton’s team had made as a project. It was a tiny story shared almost in passing in a much greater story of encouraging people to have fun, enjoy work, enjoy life and do more. 1000 Cranes. Each a small but mindful gesture. Repeated. To fulfil a wish. To bring peace to the world. In that moment, I knew I could release a little pressure on myself to go big now. The big Do will come. The real pressure needed to be the pressure to act. While I refine the Big Do. I will start on small mindful acts of change. Each one a little Do. 1000 little Dos. Each a small but mindful gesture. Repeated. To bring change to the world. I don’t have to do all this work alone because I am connected. These 1000 little Dos are magnified by a 1000 connections. These connections have begin with the extraordinary community of passionate people that I met at the event and reaches out to all those that they touch. I am simply adding my little Dos to the flow of activity. Another paper crane added to the chain. You didn’t need to be at any one event to lead change. You simply need to remind yourself of the change you want to make. Release yourself from what ifs. Find a little Do. Connect. Repeat. So what is your little Do today? My opportunity to attend the first Do Lectures Australia was provided by Yammer. I want to thank them again for their support. By simongterry in Uncategorized on 27/04/2014 .